Garden Spray Roses are the best contestants this season. 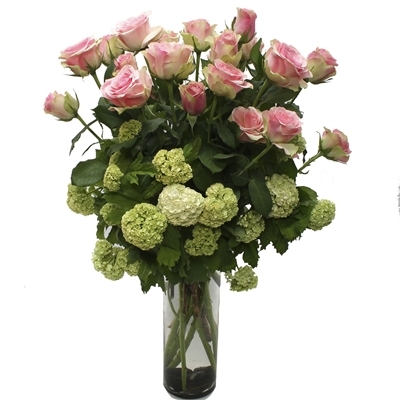 Arranged in a glass cylinder vase, these Garden Spray Roses in pinks , coupled with fresh green Hydrangea will surely win the approval of friends and loved ones. Send this lovely arrangement to make someone’s day brighter.